I find that a lot of progressive, experimental metal can be fairly hit or miss. It's either really well played and perfectly woven into the a band's fabric or it's just boring. I like to keep an open mind though until I've heard a band of that nature. I'm delving back into my review pile to bring you something from 2012. The Reticent are situated in Charlotte (North Carolina) and Cheraw (South Carolina) and released Le Temps Detruit Tout via Heaven & Hell Records. As I write this, the band have decided to take a short break to take stock and to write a new album, so this still remains their most recent output. Amongst the artists they like, they list Opeth, Porcupine Tree and Steve Von Till. Setting the scene takes the form of a French language sample, choral chants and sporadic guitar in intro Nihil. The first song proper comes in the form of In Pursuit of Redemption. The vocals are clean and seem to remind me of Brandon Boyd from Incubus! They’re broody here and the music is simple, so as not to overpower them, with plenty of acoustic guitar. Things become more vibrant with Mutually Assured Destruction, especially during the rousing intro but it’s not too long before The Reticent slip back into their calming progression. They are very accomplished musicians playing good music, but playing it a bit safe perhaps. Le Temps Detruit Tout does grow on you though as you get deeper into it. The majority of songs on the album are over 5 minutes in length. Enemy weighs in at just of eight and features some great chunky riffs and takes The Reticent’s experimentation to a higher level, to justify that length. The towering clean vocals during Lie To Me will make the hairs stand on the back of you neck during the chorus. The Reticent condense this song, which makes it more to the point and gives it more impact. It’s fully acoustic and I think it benefits from being so. Through it’s mixture of vocal textures, off-kilter instrumentation and dual-guitar work, Silence is the standout track on Le Temps Detruit Temps. They keep the calm attitude during Le Tenia. They certainly aren’t the sort of band that goes all out. Dissonance and distortion are not in their musical vocabulary but that’s not necessarily a bad thing, because sometimes it’s nice to kick back with something less heavy. The temperature briefly rises during Patience and they come across all Dream Theater. I don’t know why I used Dream Theater as a comparison, as I don’t like them but I guess it was to give people a reference point to grandeur of the music in the song. Nihil Ex Nihilo’s stark sample discussing the end of world spells the end of the album. It’s another sweeping progtastic song that leaves you feeling calm and content. 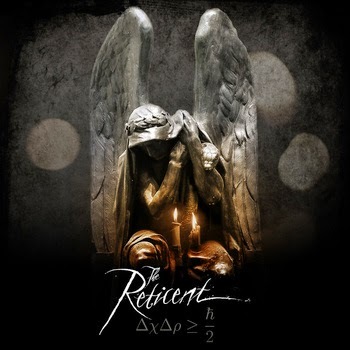 The Reticent are so far removed from what I was expecting, that I was very pleasantly surprised by what I heard. I’d recommend this album to people who are open minded. Even if you’re not a metal fan, you’ll really enjoy this album. You can buy it as a digital download and on CD from the above bandcamp page.